Made Widana (center, playing drum) is the director of the University of Hawaii Balinese Gamelan ensemble, Gamelan Segara Madu,"Ocean of Honey." Dozens of community members and students perform in Honolulu's two gamelan ensembles, many many more have transited through the programs pioneered by Pak Hardja Susilo with the first Javanese gamelan in 1970. Gamelan orchestras are traditional percussion ensembles from select parts of Indonesia. Since the 1970’s, Honolulu has been home to a sturdy local enclave of gamelan musicians, centered around a charismatic educator who taught history and culture along with the music. HPR’s Noe Tanigawa reports family and performers are flying into Honolulu for a special commemoration set for this Saturday, November 18. 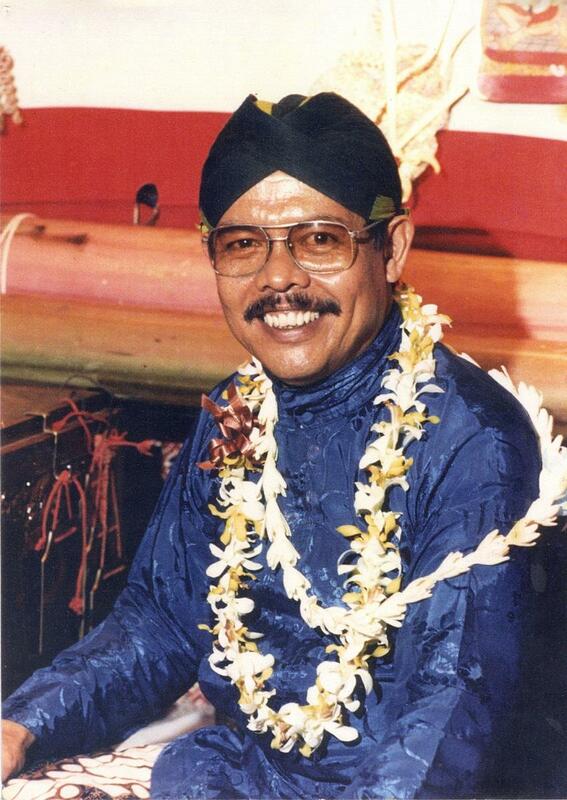 Pak Hardja Susilo, founder of UH Manoa's Javanese Gamelan Ensemble, "Kyai Gandrung," the first gamelan ensemble in Honolulu. Even after retiring from UH Manoa, he led the gamelan community until his passing in 2015. A commemoration of his life will bring current and former students together for a special program on Saturday, November 18, 2017. Background for the commemoration of the life and work of Pak Hardja Susilo, November 18, 2017. 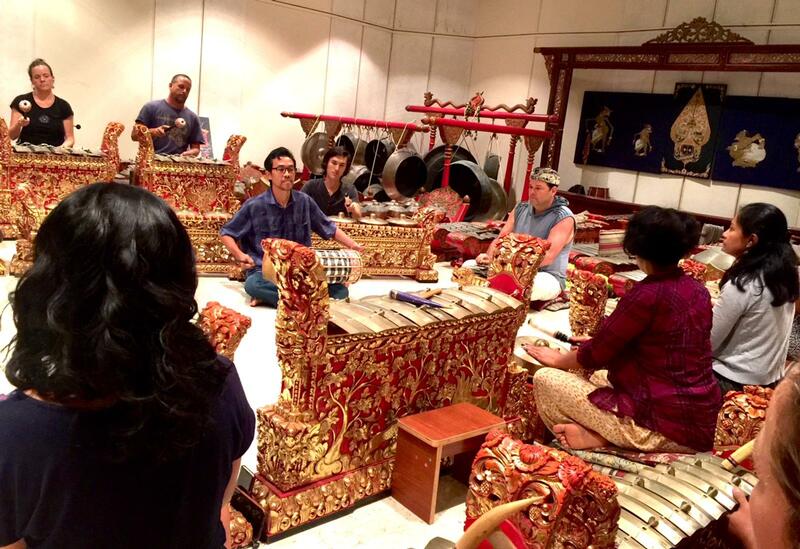 Enjoy an evening of Balinese and Javanese gamelan and dance tomorrow, Saturday evening, 7:30pm, 2017 at the UH Mānoa Music Department’s Barbara Smith Amphitheater on the ma kai end of the Manoa campus. Pak Susilo's daughter will dance with her daughter, and alumni from various phases of the program's evolution will be in town to dance or play in his memory. Byron Moon, (center, playing drum) is the director of UH Manoa's Javanese Gamelan Ensemble, "Kyai Gandrung." Moon is now director of the UH Manoa Javanese Gamelan Ensemble, "Kyai Gandrung". He says a gamelan is composed of up to 80 tuned bells, gongs, drums and metal xylophones. Musicians are not tied to any one instrument. Though there is a historical repertoire, there are no star composers, per se because pieces have evolved over time and continue to evolve during a performance. Moon: For gamelan music, maybe there was somebody who originally created the melody upon which other instruments developed their parts and different arrangements are made. Over time, you don’t have the sense of, this one individual is dictating how the parts are played. There are options for how many repetitions, what tempo levels you can play the piece at and it’s not set. 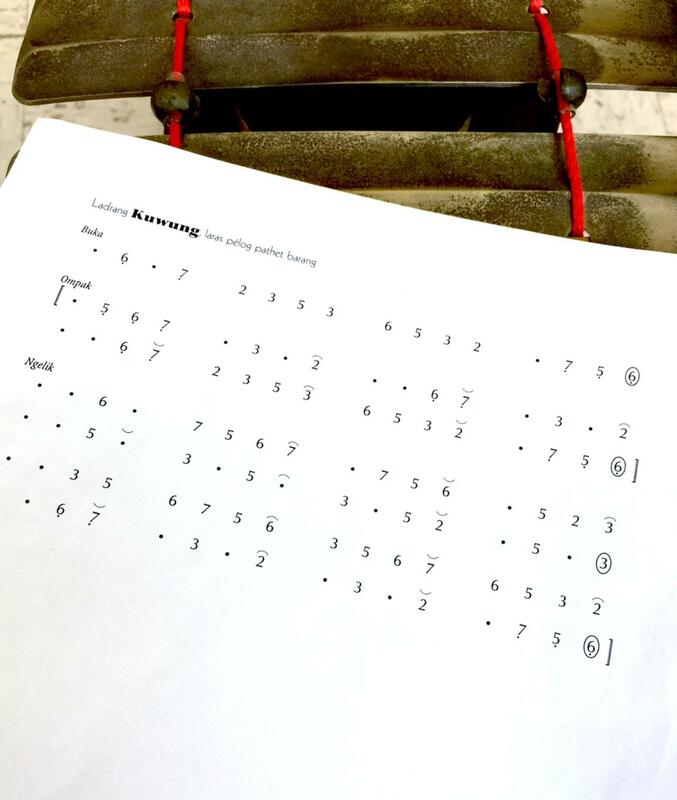 Gamelan musicians historically learned only through audio transmission, but a notation system has been devised. Moon points out, at a fast tempo, the melody will press on, while at a slow tempo, melody notes can be separated by many seconds, which are filled by improvised embellishments from other instruments. The same piece can be played with different tunings, at various tempos, with or without repeats all signaled on the fly. Musicians are cued by the central drum. Moon: In gamelan you can have different repetitions of the sections at different tempo levels and at those different tempo levels the main melody can slower and really spread out at which point some of the elaborating instruments can fill in their parts in between those beats. Anna Reynolds is assistant director and coordinator for Gamelan Segara Madu, which means "Ocean of Honey." It’s the UH Balinese gamelan group. She credits the founder of the University of Hawai‘i Gamelan Ensemble, Pak Hardja Susilo, fondly called Pak Sus, with creating a gamelan scene here that has inspired other ensembles across the country. Reynolds: Everybody connects through the music and we also learn about the culture, the history, we learn that we’re not so different in different parts of the world, we have these common threads that connect us. That’s why ensembles like both the gamelan ensembles here are so special and have been around for so long and have such a long tradition of their own. It’s very special. It’s because of Pak Sus that we have this special tradition, that we have the Javanese gamelan, that many members have been performing on since the 1970’s. The Balinese gamelan was gifted from the Governor of Bali in the 1990’s to the University of Hawai‘i because of the success of Pak Sus. We have this tradition here now, with the Balinese gamelan because of Pak Sus’ success too. He always had nothing but love and respect for everybody who came to learn and study with him. 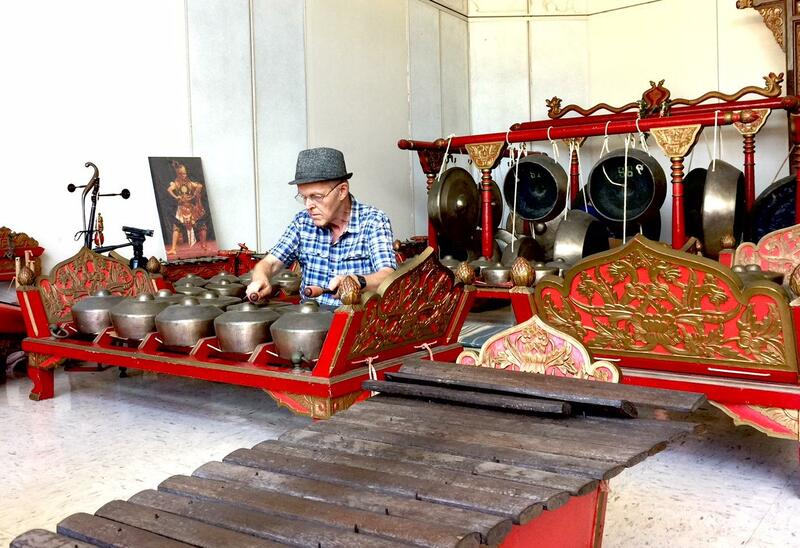 Bill Remus plays the bonang barung in the Javanese gamelan ensemble. Reynolds: This Balinese ensemble is a part of Pak Sus’ legacy as well, though the Javanese gamelan was his focus. Without him, we wouldn’t have these ensembles here. We will never forget his legacy. 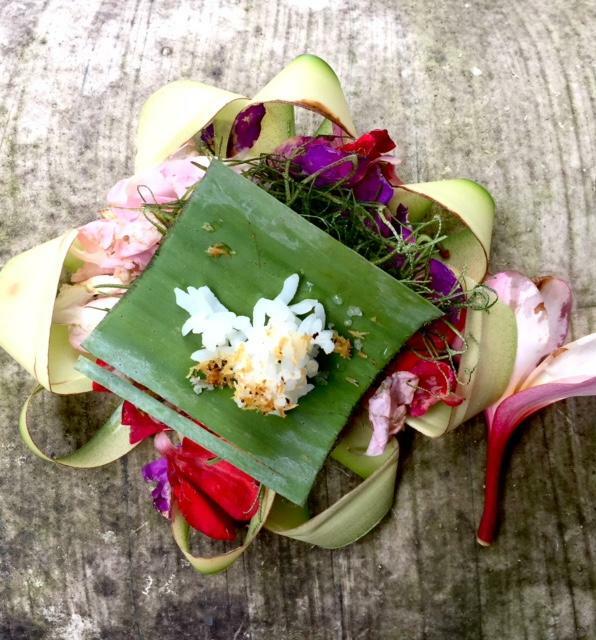 Made Widana is Balinese from Karangasem via Ubud, Bali’s cultural capital. He’s the director of the UHM Balinese Gamelan Ensemble, "Segara Madu", or Ocean of Honey. Widana: Music and dance always join ritual. Gamelan and dance and music are always there, they work together. In Bali, Widana says, there are many temples in every village including in the home compound. Daily offerings of thanks plus anniversaries, commemorations for individual gods, full moon, harvest, and other milestones plus family events and rites of passage make for many ritual observations in everyday life. 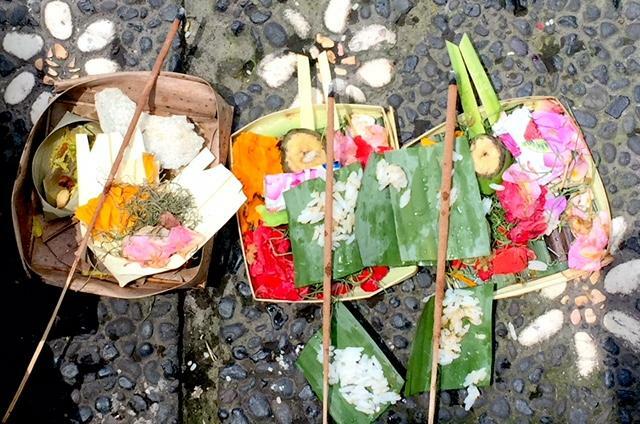 Flower and food offerings are a familiar sight on sidewalks, fronting stores, near statues, fields and homes all over Bali. Widana: Also, after we cook, we have to make a little ceremony too. We make some food, rice or vegetable. 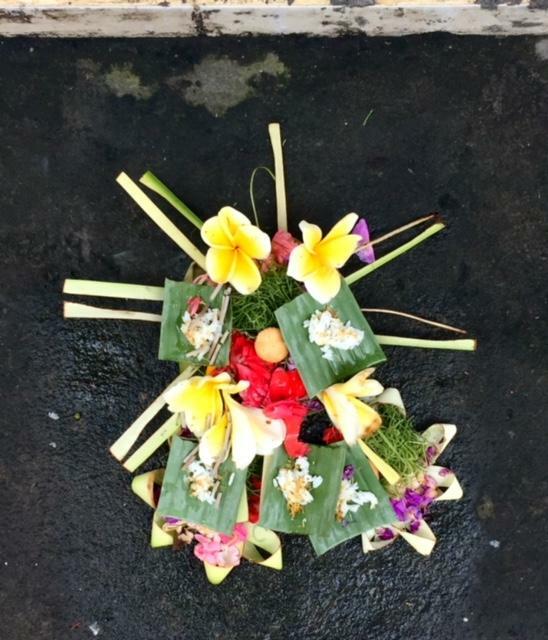 We usually use banana leaf, cut it in a square, and put rice there, and make a wish or blessing or say thank you for everything, my life, my family, we do those rituals in Bali. Music and dance always join ritual. Gamelans are traditional instruments unique to Bali, Java, and Lombok, Indonesia. Honolulu has a Balinese gamelan and a Javanese gamelan, each featuring tuned bells, gongs, drums and metal xylophones. Both were gifted to the University because of Pak Susilo’s presence and success here. Honolulu’s ensembles focus on court music and music that accompanies dance and puppetry. The Javanese group plays a style from central Java. 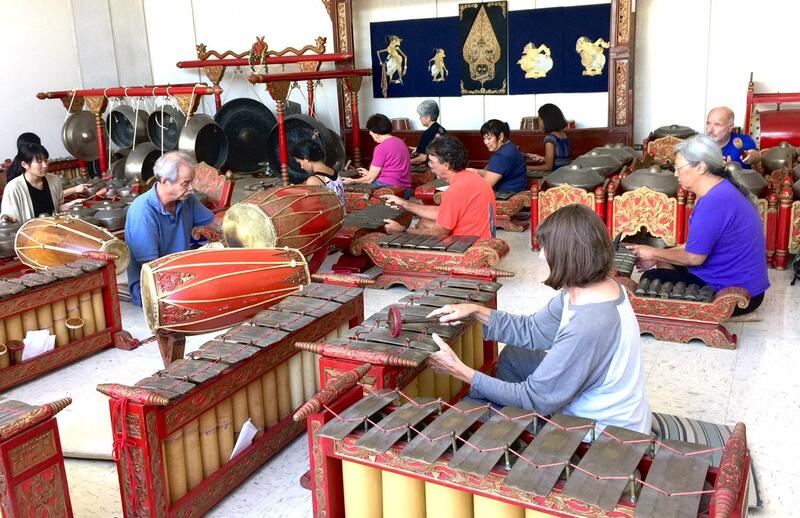 Anthropologist Nancy Cooper says Balinese gamelan is more dynamic, some see it as flashy, bright, interlocking at a faster pace than the more meditative Javanese style. The orchestras operate similarly, however. Cooper: All the parts have to fit together, then it’s gamelan. Even if you know your part, if you’re not hearing all the other parts being played, then you’re not really playing gamelan. That’s something Pak Susilo taught us and he would say over and over again. If you just play your part, it’s not gamelan. It’s only when you hear all the parts together as a whole. Cooper: In gamelan it’s how all the different parts fit together to make a whole. It’s how everything fits together. That’s one reason I’m interested in gamelan as an anthropologist. Because that tells me how people are thinking in Javanese culture and how they think about how different things fit together as a whole, not quite so individualistic, not all about me and my part. It’s how everything comprises a whole part. Cooper: That’s what Pak Susilo would tell us over and over. If you only learn your part and the drummer gives a signal and you go on to some other thing, you’re going to be left behind. If you don’t notice that, you’re as good as lost, and we all get lost at times. 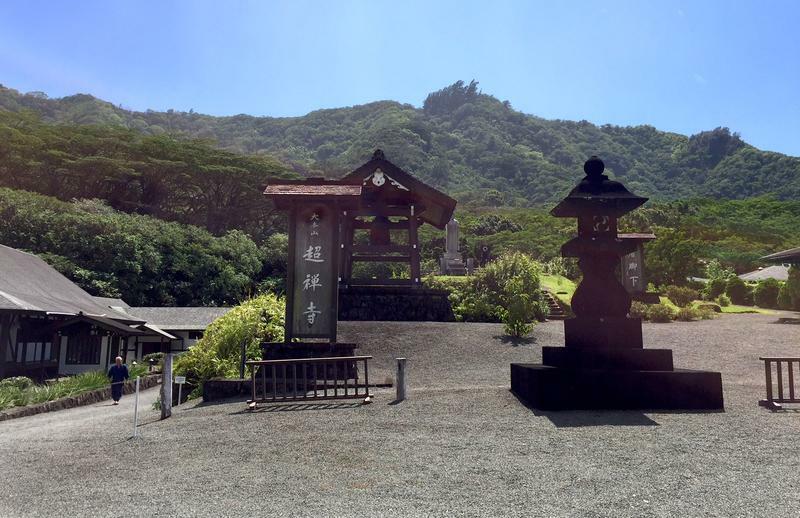 Chozen-ji, the Zen temple in Kalihi valley, was known as a center for Honolulu powerbrokers in the 1980’s and 90’s. Political and business deals were reportedly hashed out around a low table, in front of calligraphy by Miyamoto Musashi. (Since the founding abbot, Tenshin Tanouye Roshi passed in 2003, the temple has completed the dojo, an archery range, a ceramics lab, and other facilities.) 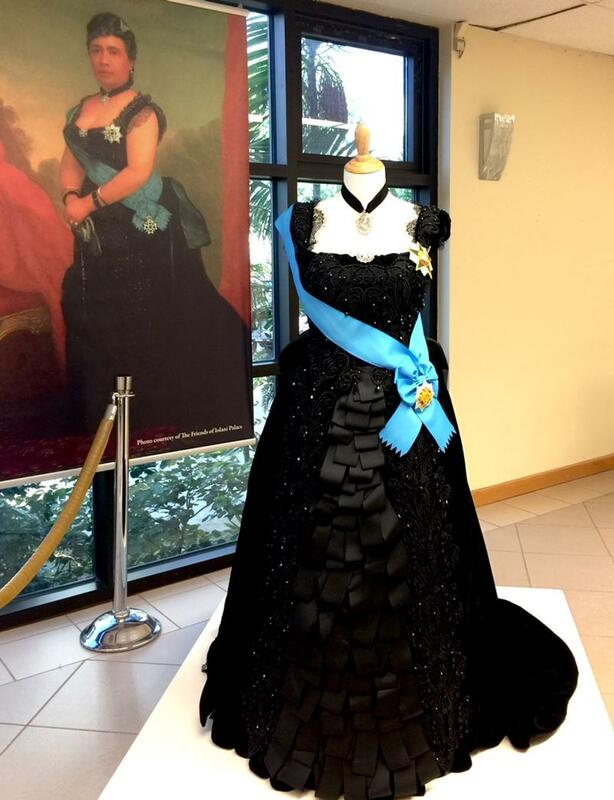 HPR’s Noe Tanigawa visited the temple as they prepare for an open house and art exhibition. The UH Mānoa Art Department is hosting a live drawing installation every day except Saturday, through November 22nd. Artist, Kosta Kulundzic combines religious and European iconography with everyday scenes from the 21st century. 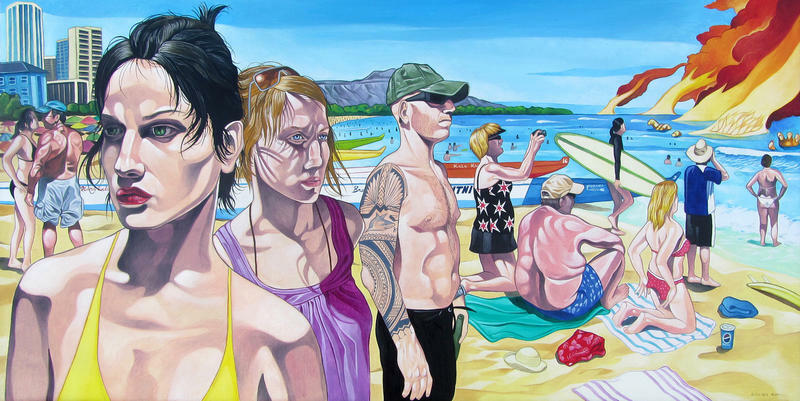 Since moving to Hawai‘i two years ago, Kulundzic has been juxtaposing local and western art imagery with particular ferocity. HPR’s Noe Tanigawa reports.